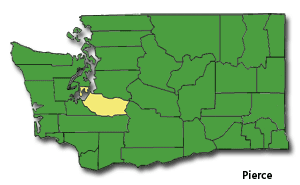 Pierce County was named for U.S. President Franklin Pierce. It is the second most populous county in the state. As of 2017, the estimated population was 876,764. 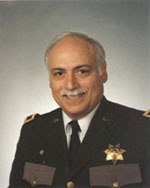 The county seat is Tacoma, on Commencement Bay, also the county's largest city. 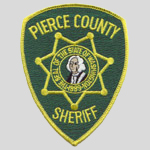 Pierce County was formed out of Thurston County on December 22, 1852, by the legislature of Oregon Territory. According to the U.S. Census Bureau, the county has a total area of 1,806 square miles, of which, 1,679 square miles of it is land and 128 square miles of it (7.06%) is water. The population density is 417 per square mile.